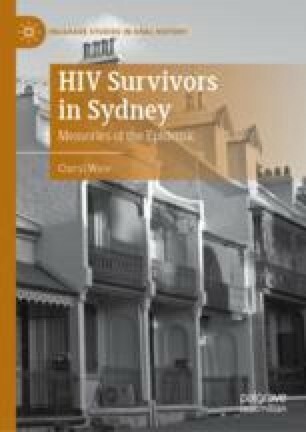 Ware offers an engaging overview of the importance of Sydney in international histories of HIV and AIDS. The significance of Sydney not only rests on its proactive community-based response to the epidemic, nor entirely on its position as the Australasian city most severely affected by the virus, although these factors certainly render the city an important focus of historical inquiry. For many HIV-positive gay men, the trauma of the epidemic was amplified by the value they placed on living in inner city Sydney prior to this time. The onset of HIV and AIDS deprived them of the hope and possibility that living in Sydney, Australia’s “gay capital” entailed.